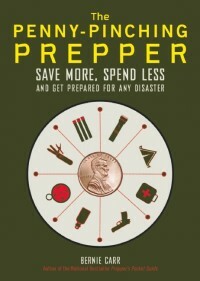 HomeEmergency PreparednessHave You Seen the New Survival Show Fat Guys in the Woods? “Fat Guys in the Woods” is a new survival show that appears on Sundays at 10:00 p.m. ET, on The Weather Channel. 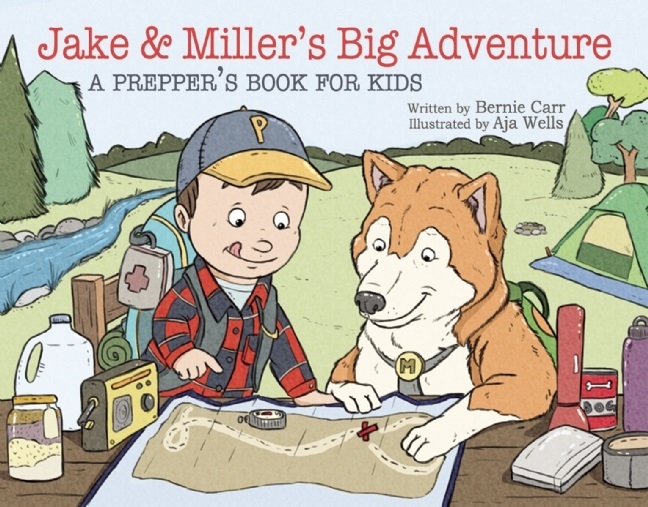 For anyone who is not familiar with Creek Stewart, he runs Willow Haven Outdoor and is the author of Build the Perfect Bug Out Bag, The Unofficial Hunger Games Wilderness Survival Guide and most recently, Build the Perfect Bug Out Vehicle: The Disaster Survival Vehicle Guide (I’m reading this right now). In the show, Creek shows takes three average guys into the Smokey Mountains and teaches them survival skills. They then take what they learned and go off to survive on their own, using what they just learned. The guys in the first episode were average guys who have let themselves go over the years. You can tell they were getting winded after the long walk as they mentioned they were getting hungry. It was not hard relate to these guys – I am sure I’d get hungry after a long trek as well. Creek explained their most pressing need was to build a shelter, since the temperature was likely to dip below 15 degrees F. He then shows them how to build a shelter using branches and leaves, as well as a bed so the cold doesn’t seep all the heat away from their bodies. Next, Creek shows them how to build a fire, using a flint and steel with char cloth. One of their tasks was to find their own flint, which was interesting to me. The last lesson involved learning how to make a snare to trap an animal. When they finally trap a rabbit, Creek showed them how to field dress it and cook it. It was remarkable how the guys were really appreciative of the simple meal they had – they even recalled previous meals where they barely remember what they ate with a table full of takeout food. Creek is a likeable teacher; he patiently instructed the guys and was very encouraging to all of them. This “can do” attitude really gave the guys confidence in their own abilities. I like the show. Initially I had some doubts, as the title sounds a little sensational, but I found the show not only entertaining but also instructive. This is a show from which you can actually learn a thing or two. Sure, I would have liked more in-depth detail about how to build a snare but you can only fit so much information in one show. Clearly, the experience was a positive one: I liked how the outdoor experience made a lasting impression on the guys, motivating them to get into shape, become closer to nature and even accomplish more in their job. I think this would make for a good family show, one you would not mind seeing with the kids, maybe not the smallest ones, but certainly age 8 and up would have a good understanding of the survival aspects. Check it out tonight! 5 Comments on Have You Seen the New Survival Show Fat Guys in the Woods? How do you become a contestant on fat guy’s in the woods? I’ll find out and post it. Derek, According to my contact at The Weather Channel, The participants in “Fat Guys in the Woods” were chosen by the production company. They used social networking sites, casting sites, as well as Craigslist to find guys who lost their motivation and needed a boost to make a change in their lives. I had an amazing time on this show (Episode 4: More Bees Please), and really learned a lot about how far out of my comfort zone I could really push myself. Incredible experience!! And if you want to apply to be on the show, you can send an email to FGITWcasting@rivr.com – they are collecting contact info, but a 2nd season hasn’t been confirmed yet. Hi Dan, So nice to hear from someone who participated! Very cool. Thanks for the comment!